Despite continued tariff threats and retaliations between the US and China, the markets are reacting more to the continuing strength in the economy, led by a strong job market. 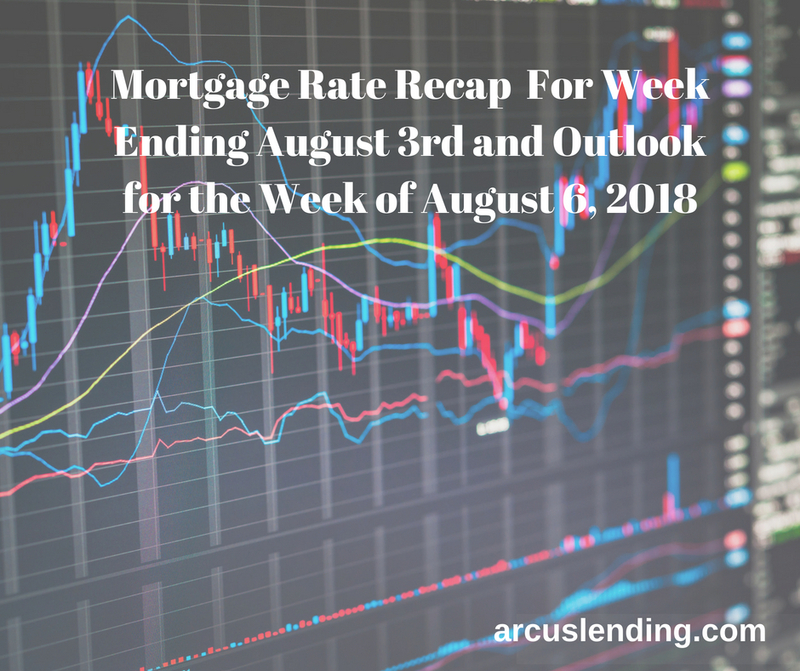 Overall, the impact on mortgage rates has been a very slight increase that looks more like a sideways movement. Globally, aside from the tariff issues, the Bank of England increased their interest rate this week for only the second time since the financial crisis, noting that the slowing of the economy in the first quarter of the year was temporary. There are no plans for another rate increase before the completion of Brexit next March. Domestically, the FOMC did not increase rates at the last meeting, which was not a surprise to the markets. The minutes released from the meeting did have a slightly more hawkish tone regarding the strength of our economy across the board. 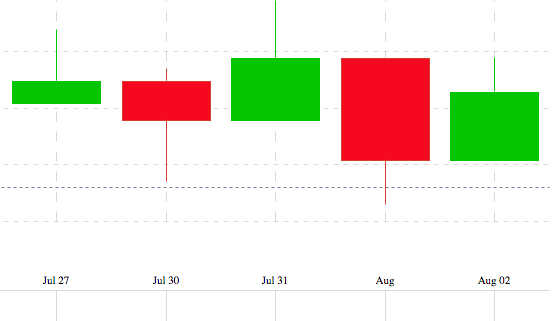 This candlestick chart below covers the past weeks’ Mortgage Backed Securities (MBS) activity and the impact on interest rates. Rates moved up slightly for all loan products in the last week. MBS directly impact mortgage rates, and the days with red indicate higher rates and those with green – lower rates. This week’s Mortgage Banking Associations’ (MBA) weekly rate survey shows effective rates increased slightly for all loan products. The information below applies to all loans with an 80% loan-to-value. Bankrate’s weekly survey of mortgage and economic experts, countrywide, shows the majority (43%) predicting interest rates will increase this coming week (plus or minus two basis points), and the remaining experts are split at 29% predicting rates will be unchanged, and 29% expect interest rates to fall next week. 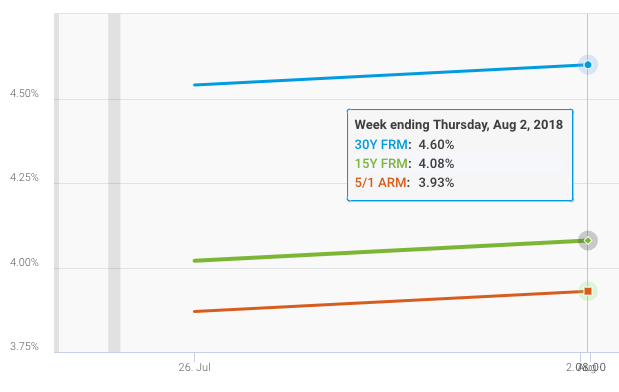 The chart below, from Freddie Mac’s weekly mortgage survey, shows conforming rates increased over the last week, July 27th to August 2nd, for 30Y fixed, 15Y fixed and the 5/1 ARM. Freddie Mac’s weekly mortgage survey noted, “The 30-year fixed-rate mortgage drifted up for the second consecutive week to 4.60 percent. There has been nothing to gain from floating over the first seven months of 2018, and that will continue to be the case for the foreseeable future. Due to interest rates staying flat or increasing slightly, we recommend locking in as soon as possible, regardless of whether you expect to close within 15 or 60 days.